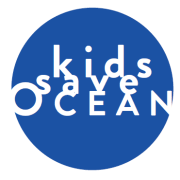 We're currently working on a mobile app to empower both students and teachers across the world to tackle plastic ocean pollution and sustainability by learning about the issues then lobbying governments to revolutionize their approaches to the problems.. The app is being created for iOS and android with help from amazing volunteer developers from across the world. ​The app is built for teachers and students, but also invites the wider global community to help spur a global children's letter-writing campaign to pressure governments to act now on ocean pollution. The app will include short films explaining to users how to use the app. And lots of Resources including learning and teaching materials (and nothing boring) will enable students and educators to easily dig into the project. Map screen: google-map-like navigation. Shows number of letters written and from where, and any government-level progress resulting from Fatechanger. ​News & Media screen: share stories, read updates, stay engaged. ​Top ten list: which countries have written the most? Will also include running tab of total letters written. We already have a preliminary wire-frame prototype and a lot of work on the iOS front end complete, but still need help. And we need loads of help for Android. We're seeking highly experienced front-end developers with apps under their belt who want to use their skills to help both empower youth and protect the ocean. Come join us in battle. Be the change you want to see in the world.